This topic contains 71 replies, has 8 voices, and was last updated by Keith Taylor 2 years, 2 months ago. I am currently taking 300mg of allopurinol a day I recently went in for a blood test and my creatine level was 1.5 so I am curious if I should reduce my allopurinol dose because of this. I’m going in for another test soon but my doctor said that my creatine could have been elevated from eating meat the day of the blood yes or taking indomethicine cause I had an outbreak. And also if kidney damage is apparent what is better to take indomethicin or colchicine? Hi Paul, thanks for your question about allopurinol and creatine levels. You sent it via my helpdesk, but I prefer to discuss gout issues in the forums. This is so that other gout sufferers who are interested in the effects of allopurinol on creatine levels can read about it, and hopefully join in. First, I must explain I am not a doctor, just an enthusiastic gout amateur. Creatine is a complex subject, and only your doctor can advise you. Fundamentally, creatine is unlike uric acid. Uric acid has definite safe and dangerous levels. There is some room for adjusting the ideal uric acid level based on personal circumstances. Creatine levels change all the time as a reaction to many different events. What is most important here, is the change. A single result is meaningless – you have to review changes with your doctor. It might even be a signal that you should be increasing your allopurinol dose. Without all the facts, we simply cannot say. When you get your next set of results, we will have more meaningful data, so let’s wait until then. I’m concerned that you have not mentioned your uric acid levels. A personal target for uric acid is a vital part of gout treatment. It also requires regular monitoring in the right way. All gout sufferers need to get uric acid tests at least once a year. Whenever uric acid is tested, you should also get kidney function and liver function tests. It’s my job to help you set the best uric acid level target for you. It’s your doctor’s job to review the test results, and your physical symptoms, to ensure that your gout treatment plan is safe. If a gout patient has kidney disease, they have to be treated by a rheumatologist. Well above my pay grade! Sorry. Hi Nigel, and thank you for your feedback. Originally, this was a comment on Allopurinol And Alcohol, but I thought it deserved a new topic. It’s a shame that you couldn’t tolerate allopurinol. Some people cannot, and that used to be a disaster, as allopurinol was the only treatment for uric acid lowering that could be used by all types of gout sufferers. It is still the preferred option on cost and safety grounds. But now, febuxostat gives us an alternative to allopurinol. Unfortunately, some of the bad prescribing procedures that haunted allopurinol, have continued with febuxostat. The only reason for prescribing either of these two drugs is to reduce uric acid safely below 5mg/dL. Uric acid must be tested regularly to achieve this. 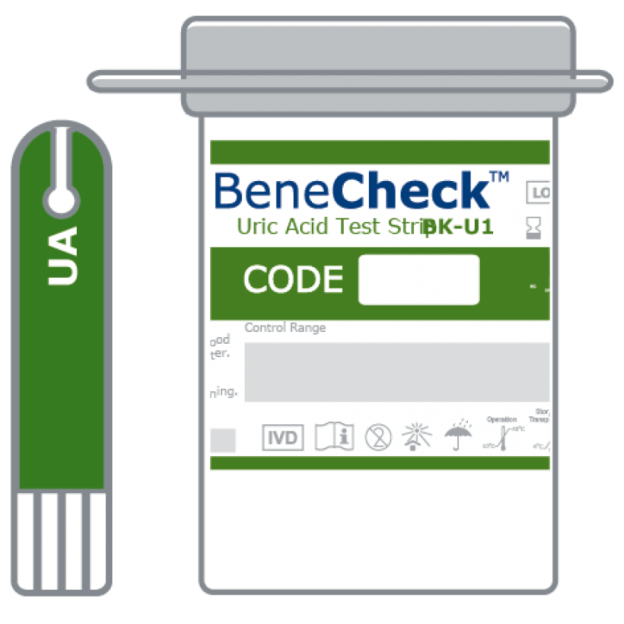 To ensure this is happening safely, uric acid tests must be accompanied by kidney function and liver function tests. Nigel, I’m alarmed by your “seems to be OK” remark. If your blood is being tested as it should be, you should know exactly how well febuxostat is working for you. If you were just commenting that there is an alternative to allopurinol, then thank you for your comments. If you are not absolutely certain that febuxostat is lowering your uric acid safely, then you must check with your doctor immediately. Both febuxostat and allopurinol are fantastic at making gout simple to control. But, unless safe dosage and testing procedures are used, it could be just another gout disaster waiting to happen. Nigel, if you are wondering why I’m worried about your comment, or not sure about anything I’ve written, please let me know. I’m happy to clarify any points, as I want to be sure that febuxostat is definitely controlling your gout safely. I was diagnosed with gout 4 months ago and put on Allopurinol 3 wks later. After researching gout dieting on the internet I found your articles and changed my diet to avoid purines, added sugar in foods as well as excessive sodium. The allopurinol lowered my uric acid level to 3.0 after another 6 wks, and I’m certain I have experienced numerous nighttime flares. Each time I have a flare, I tend to blame myself for what I ate that night, like a 2-3 oz portion of chicken for the 4th time in a week, whole grain products every day, or a third bowl of oatmeal in a one week period. Should these foods be causing flares with my uric acid down so low? Am I not eating certain foods in moderation? Last night I had a bowl of tomato based soup containing some chicken and, after being asleep for 3 hrs, I woke up with a flare. I probably shouldn’t have eaten that soup, but what about the other foods I mentioned? Chicken is the only meat I eat now. And, I read that whole grain bread, pita and pasta, brown rice and quinoa are all good for you. I came across different opinions on oatmeal and cheerios. So, I’m really confused about how to tweak what I thought was a good diet for gout. Any advice you can give me would be much appreciated! Can I confirm this is 3mg/dL? If so, you are well set to control your gout completely. I can’t say much more, as I don’t know what your uric acid test result history is. I’ll just assume for now that you and your doctor are happy with progress. Let me know if this is not the case, and I can help you with any issues and ensure you get a safe allopurinol treatment plan. Allopurinol encourages old uric acid crystals to dissolve, as it reduces uric acid levels in your blood. Crystals dissolve faster at lower uric acid levels. This process takes time, and until it is mostly completed, dissolving crystals might trigger a gout flare. This has almost nothing to do with diet. Today’s gout flares are caused by crystals that formed years ago. Some of that uric acid might be from meat that you ate at that time. Most uric acid comes from meat that is your own human flesh. As your uric acid is low, nothing you eat today will cause new crystals to form. Old crystals dissolving might cause flares – but that is a good thing. Obviously, it is not good that you are in pain, but the flare is good because it is a sign you are healing. It hurts to get the bullet out, but leaving it in will kill you. The correct approach is a good pain management plan. Your doctor should have arranged this for you. If not, I can advise you on the different components you need. By combining 2 or 3 sensible pain-control meds, we can ensure that any discomfort during this part of your healing process is bearable. As for diet, just eat a good healthy balance of a wide range of foods. EFSEP! Food, not highly processed food-like substances. Read the labels, and avoid additives wherever possible. Sufficient, not over-eating or starvation. Maintaining a healthy body weight is always great for gout. Socially, you’ll be regarded as thin. But medically, you’ll be healthy. Especially Plants, doesn’t mean becoming a vegetarian, unless you want to be. It means that most of your calorie intake should be from plants. Meat is good as an occasional treat, and as a flavoring. Fish is better if it’s oily, such as tuna, mackerel etc. The only plants you’ve mentioned are tomato (possibly highly processed in a commercial soup?) and a few grains. That is not a healthy diet! Where’s the fruit? Where’s the veg? 1. Clarification that your allopurinol treatment plan is safe and effective. 2. Pain relief until sufficient uric acid crystals have dissolved. 3. Optional healthy eating plan. With all that in place, there is one potential diet tweak that might reduce gout flares. Eventually, it won’t matter, but it might be useful until the bulk of old uric acid crystals have dissolved. Remind me to tell you what that diet tweak is. Steve, I hope all this makes sense to you. If not, please tell me, and I’ll try to clarify. If it helps, on the face of it, you seem to be making excellent progress. Your only downside seems to be that you are linking inevitable gout flares with current diet. There is almost no such link, so best not to beat yourself up if you know you are eating healthy. Just enjoy your gout recovery. Well, I went to the doctor about a week ago limping due to the stiffness and pain in my left ankle. No trauma occurred recently so the doctor believes it to be Gout. He prescribed me Prednisone for 12 days and it went right to work on the swelling and pain. My only issue is that I am still feeling pain in the ankle joint. I can walk but with a slight limp and if I happen to rotate my ankle a certain way the pain is pretty bad. How long does the pain linger around? The first thing to understand about a gout attack is that it is an immune system response to invading uric acid crystals. Your immune system does not like foreign matter in it’s domain, and it’s job is to kill it. That works nicely with bacteria, but inanimate uric acid crystals cannot be killed. Instead, your white blood cells engulf the crystals, and eventually they become hidden. When exposed uric acid crystals reduce in number, your immune system settles back down, and inflammation disappears. Everyone’s immune system is different. One or two weeks is typical, and usually no more than three weeks. This time can be shortened by anti-inflammatory meds. I’d recommend to keep mobile, but not to stress your ankle. Keep it wrapped to avoid exposure to cold. It sounds to me like it’s almost over, but there is more to this story. This sounds like your first attack, or at least the first flare that you’ve recognized as a gout attack. The crystals that caused the attack have been slowly building up for several years. They will continue to build up until your uric acid levels stay below 6mg/dL. You are unlikely to qualify for uric acid lowering treatment on your first attack. However, it is very useful to start recording your uric acid levels now. The more data you have, the easier it is to manage gout treatment in future. I can help with that whenever you are ready, but for now, I’ll return to your current gout pain. As I said, you should be back to normal in a few more days. However, once gout starts, it will return faster and stronger until uric acid is controlled properly. Therefore, there is an outside chance that pain could continue beyond the three weeks I mentioned. This happens when a new attack starts before the old one is completely resolved. It feels like one long attack, but in reality it’s a series of more than one. If that happens, all you can do is return to your doctor for more pain relief. In that situation, you would definitely qualify for uric acid reduction treatment. Finally, you should be aware that most gout is genetic, so there is little you can do about it. On the other hand, it might be caused, or worsened by controllable factors such as poor diet, exposure to environmental toxins, or meds for other health conditions. If you would like me to help you review your situation for controllable gout factors, please just start a new topic. If you do not understand any of the points I have made, please ask for clarification. Sometimes I miss an obvious point that I’ve taken for granted. For many years I had high uric acid which generated uric acid kidney stones, not gout. I have no gout. After starting a once a day regiment of Alpurinol 100 mg/day, the kidney stones stopped and my uric acid dropped to the point where it was very acceptable. THis was 8 years ago and not a kidney stone since. 2 days ago I went to a new kidney doctor as my creatin had rissen significally. He checked all my medicin and atributed the rise to Voltorin that I started one month ago., but he also said the Alpurinol may also be hurting my kidneys and said that Uloric was a better alternative. I have been doing a lot of research comparing Alpurinol to Uloric. While many studies find that Uloric is slightly better in helping with Gout, it mentions nothing about it being better for your kidneys in the way of toxicity. 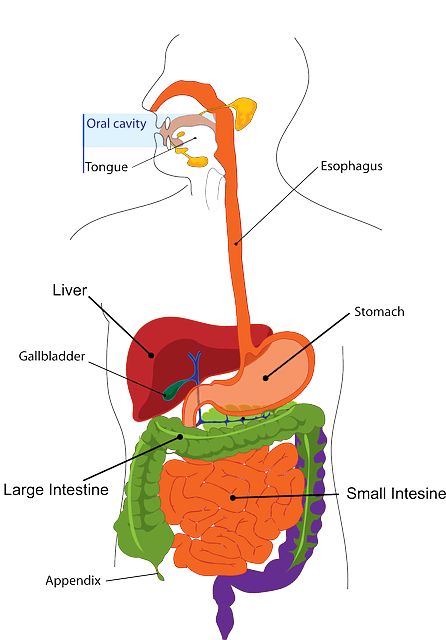 First, you’ve highlighted one of the mystery areas of high uric acid. Why does high uric acid develop into gout in some people, yet not others? It’s a fascinating topic, though it probably only affects a small number of people. The medics call it unsymptomatic hyperuricemia – i.e. high uric acid with no symptoms. That’s wrong to me, as they should really say no measurable symptoms. Advances in imaging are now recognizing crystal deposits long before they cause gout. We know that these deposits interfere with natural joint renewal and replacement. Bone, cartilage, and tendons start to suffer, but it takes decades for this to show as joint damage. And, we have cases like yours where kidney stones form before there is noticeable joint pain. As medical techniques improve, I expect that heart-based tophi, a hidden cause of heart disease, will become more recognized. In all these cases, simply reducing uric acid with allopurinol is an effective control, though not a cure. I really wish that you would share your research into allopurinol vs Uloric. If it’s the same research that I’ve read, it infuriates me. 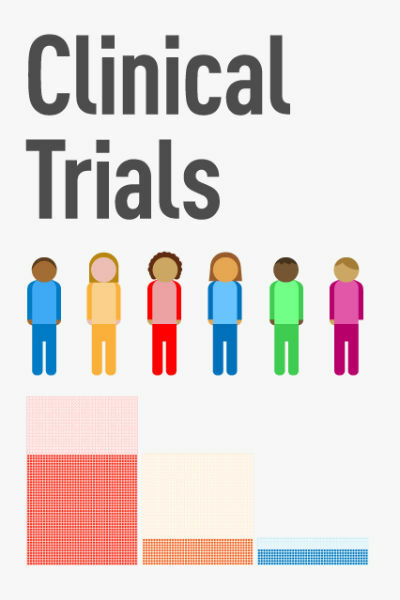 Obviously, Takeda’s marketing staff have achieved their goals if you say “many studies find that Uloric is slightly better in helping with Gout.” That’s one of the lies about febuxostat/Uloric that is becoming yet another Gout Myth! It just makes gout treatment harder than it need be. Having said that, we wouldn’t get new gout drugs if pharma companies didn’t line the pockets of their investors, so fair play to them if the licensing authorities are so stupid. As for toxicity, where has the idea come from that allopurinol is bad for the kidneys? Show me a report that suggests allopurinol hurts your kidneys, and I’ll show you five more that says allopurinol improves kidney health. The real toxicity issue concerns Uloric and the liver, made worse because the FDA put the onus on the patient to check this, rather than the doctor. In the medical profession, I believe allopurinol is well recognized as a treatment for kidney stones. I’ve seen plenty of research into differential diagnosis for kidney stones. It’s vital to match the right treatment to the right type of stone. Is this another Internet Health Myth, or is there some believable research? I’ve always thought that the presence of all kidney stones is due to an imbalance in one or more metabolic systems. Far more complicated than eating cheese. Yet, often easy to treat once the stone composition has been analyzed. Even allopurinol can caused oxypurinol stones if it’s taken with insufficient fluids. Anyway, please let’s have a proper debate with references back to the research. I’d like to review the page that prompted this discussion, so any contributions are very welcome. I have suffered with gout since 2003. I have used the regular, Al, Col, Prob. None of these work. I also use Prednisone, but it is working less and less. I began with 4 mg of it and now I’m on 60 mg.
Trophus has recently developed in my feet, hands, and elbows. My liver levels are now extremely high. My doctor says my situation is critical. He has suggested infusion therapy, (chresta sp?) which we have been told is dangerous and expensive seeing insurance does not cover it. We have recently began using wheatgrass and Amazing Grass Original Meal Replacements. I am not on any solid foods. Just juicing it up with frozen cherries, blueberries, etc. My uric acid level has now dropped to 5.8. This is better than all the meds combined which actually never got it down below 10.2 and that was intermittent. Any assistance that you could offer would be appreciated. PS: Please excuse the errors, it is rather painful to type. I’m left wondering what your doctor has suggested now that your uric acid is 5.8? Your situation doesn’t make sense to me. I’m not really sure what you are asking me to help with. Sounds like your doctor is suggesting Krystexxa. This is very effective at shrinking tophi, as shown in Tophi Removal Without Surgery. Please could you explain exactly what you are asking for assistance with? Some interesting discussion about this lately. I found this site over three years ago after suffering with Gout for years. Luckily I have a good doctor and was able to get on 300mg Allopurinol that I have been taking since then. I don’t know why some fear taking this miracle drug, while at the same time be OK with popping vitamins daily. It is very clean with no side effects for most. I can eat and drink whatever I want and have never had a flair up since I started. I get a yearly blood test and my uric acid is always below 5. Kidney and liver normal. I am now going to try and lower the dose while watching my levels. My doctor says I am simply an over-producer of uric acid. I understand some of the reasons why people deny the correct treatment, but I’ve never seen one reason that is justified. Even if you don’t feel like taking action today, at least discuss your fears. Always be aware: Untreated excess uric acid is a killer! Also, especially if you are in doubt, read Can Gout Kill You? Thanks Yakpi. I hope you’ve inspired gout sufferers to start their journey to Gout Freedom. I was told by a doctor 4 months ago that is likely the pain and sudden flares in my toe were likely gout and was put on indomethacin to help the flare. I am 25 not over weight and do not drink a large amount so he sent me on my way.. The Indomethacin did help but only to control the flare and then the pain was back once the tablets stopped. After xrays and unltrasounds which did not show a break etc and a blood test with normal results ( this blood test was taken a week after the flare started however stiffness etc was still present). After another bad attack when I was away on holiday in November ( drinking a little more than normal) I went to a foot specialist/surgeon and she agreed also it sounded exactly like gout and that I was to be put on allopurinol – I have since started this at 300mg a day. I have now been on Allopurinol just coming up 6 weeks and have also been taking indomethacin when I have felt pain/flare. Diet wise I have not had a drop of alcohol for 2 weeks and even before that it was nothing in high amounts. I have given up red meat,shellfish and I am on a veggie diet 80% of the week. Cheery active I have been taking and lots of water! By reading this forum I understand that the pain is old deposits dissolving? But I was wondering whether anyone could give me any guidance on how long these flares will continue for and also should I be taking indomenthacin constantly to prevent the pain or when I feel pain to stop it? I feel a little concerned about taking the indomethacin for long periods of time. If anyone could give me any guidance! I am getting married in 7 weeks and do not want to be in pain! Thank you for your detailed post. There’s a very important fact missing. Without it, I’ll have to qualify everything I suggest with ‘if and maybe.’ That’s confusing for both of us. Please post your uric acid test results, and I promise you a pain-free wedding. 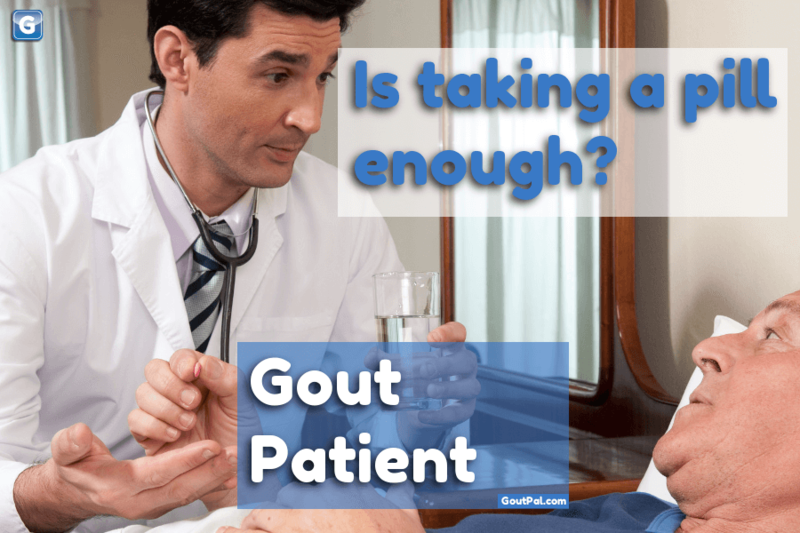 Every gout sufferer should join me with NUANT – Normal Uric Acid? No Thanks! We might persuade the medics to “Think Gout Safe” instead of normal uric acid. Francesca, when I get the vital uric acid numbers, I’ll set you up with a personal gout profile. Then we can get your gout controlled properly. I went back to the doctors today and she again said that he result was what she considered normal – I pushed for the print out of the results which she in the end gave me..
Not sure what the numbers in brackets were about but they were next to the result? So using your conversion that is 4.03. The only thing is this was taken back in October and was just after/during a flare was settling down. So I know this can effect things.. The doctor today told me to only take indomethacin if I feel the pain..? Thanks Keith 🙂 Awaiting your reply from Australia! I like having lots of detail because it makes it easier for me to give the personal answers you deserve. I’m not saying post here every day, but certainly post whenever you experience any gout symptoms, or any doubts. That way, we can be certain your big day will not get spoiled with gout pain. If you post 2 or 3 times a week, you’ll keep this topic near the front of my mind. It’s up to you if you want to post an essay. I’ll enjoy reading it. But just a few words is OK.
I’m reviewing old support requests that are “Not Resolved”. I hope you’re happy with your uric acid control at the moment. If your allopurinol is working OK, please mark this topic resolved. You have to log in first. Once you are logged in, you will see a dropdown at the top of your first post. Change it from Not Resolved to Resolved. There’s nothing else to click. There’s no need to post any additional information, unless you want to. If you want to post more, you can reply here, or start a new topic. Please note that my responses are a little slow at the moment. I expect to get back to normal speed soon. I’m a bit worried about your Dad. NSAIDs is the general name for anti-inflammatories like indomethacin, ibuprofen, diclofenac, naproxen, etc. They are generally regarded as safe for a few months. It’s good to control gout pain with NSAIDs until allopurinol gets uric acid low enough to stop the source of pain. It’s not good to use them instead of uric acid lowering treatment. If you don’t control uric acid down to safe levels, gout gets worse. Even on days when you don’t have a gout attack, the crystals are destroying joints and damaging soft tissues (heart, kidneys, skin, etc). Febuxostat is a valid alternative to allopurinol. A 24-hour urine test can give more treatment options if Dad is an under-excreter. Alluprinol (allopurinol) question from Simon sent via the helpdesk. I usually link to the page where the question came from. I don’t think this relates to a specific page. I’m allergic to Alluprinol , could you please advise of a suitable alternative, I’ve had this complaint for about 12 years now, Attacks are more frequent and has got to a stage where I don’t seem to be able to completely get clear of it, is Gout permanent for life or can it be reversed? Thanks Simon. There’s lots of alternatives to allopurinol for controlling uric acid levels. It’s important to control uric acid to stop it getting worse. As well as more gout pain, untreated uric acid crystals cause serious damage to your body. Tell me more about your allopurinol allergy. Have you tried any other uric acid lowering treatment? Feburic question from Evgeny, via the gout helpdesk. Evgeny asked about Feburic dose after reading What Triggers Gout Attacks? 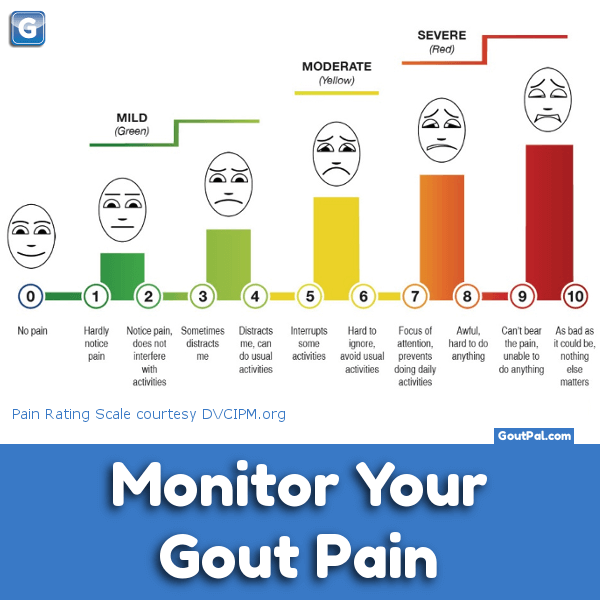 Information on GoutPal is provided by a gout patient to help you understand gout and related issues. Gout information is provided by a layman, with no medical training or qualifications. It should not be used for diagnosing or treating any health problem or disease. The information is given to help you understand your doctor’s advice and know what questions to ask. It is not a substitute for professional care. If you have an actual or suspected health problem, you should consult your doctor. After 1.5 year reach stable UA 6 – however the lever ALT/AST was increased. I begin with feburic 80 and just after 1 moth reached the 3.5 UA. And of course I got gout attack on my elbow which is new area for me. I asked my doc reduce feburic from 80 to 40 – however this tablet on my country exists only by 80. What is the risk of low UA ? What is recommendation on that ? As I understand I can not cut the tablet since it covered tablet – and not recommended for split. Wow, what a contrast to the previous post I responded to about starting gout treatment. That discussion is about starting treatment. This is about the opposite end of the first gout treatment cycle. How do you improve medication for gout, once treatment has stabilized. Before I answer specific questions, as the help desk team mentioned, I’m not a doctor. Even if I were, it would be irresponsible to give medical advice. Professional medical decisions require physical examination, medical tests, and medical history. All I’ve got is random uric acid numbers with no measurement scales and no test dates. My answer: That could work if uric acid, liver function, and kidney function are being monitored by your doctor. It depends on the results of blood tests. Evgeny, if you want more detailed explanations, please ask me. You sound as if you intend reducing medication for gout. That’s a great achievement, but is it too soon? I have been an infrequent gout sufferer since 2011. The past two years attacks have become more frequent. I have been dealing with near constant flares since the end of November. These have been treated with either indocine or prednisone with good results until the meds are gone. Yesterday the doc gave me another prednisone burst with a graduated allopurinol program to follow the treatment of the current flare. (Uric acid levels are currently 7.5) allopurinol treatment starts at 100mg a day for a week followed by 200mg a week then topping out at 300mg a week. Is the graduated program to try to lessen the likelihood of causing another dramatic flare? I didn’t ask her because I hadn’t researched the drug much but I haven’t seen anyone describe such a method in my couple hours of surfing. Thank you for your patience on your first post here. First post gets moderated, but all your subsequent posts go straight through. The process you describe for allopurinol treatment is almost perfect. The graduated program is so that your doctor can check your reaction to allopurinol during the first few weeks. Your uric acid tests should be accompanied by liver function and kidney function tests. This is not to alarm you – it’s a safety check, and is almost always OK.
You are lucky to have a doctor that cares, and understands the correct protocol. At least, she seems to. I have a complaint, and a minor observation. The minor observation is that, the 100mg start and increment should be reduced to 50mg in some patients with chronic kidney disease. I’m hoping this doesn’t apply here, hence ‘minor.’ Clearly, it’s not minor if you fall in that category. My complaint concerns ‘topping out at 300mg’ 300mg has no significance whatsoever for allopurinol dosing. If your allopurinol label mentions maximum dose, it is generally 800 or 900 mg per day, depending on the country you live in. For some people, 100 mg is enough, 300mg might be enough, but that is not important. What matters is that you get an allopurinol dose that makes your uric acid level safe. There is no point in taking allopurinol unless it reduces uric acid below 5mg/dL. There are personal considerations relating to this. For example, I aimed ‘as low as possible’ in order to address visible tophi. We can discuss this further, if you want. In any case, Ross, I hope you’ll return to update us on your progress. Few things in life make me happier than seeing someone permanently control their gout. Just took my last dose of prednisone in this run. Didn’t touch it. I let the doc know and she called in a scrip for colchicine. Never had it but I read some good reports. If this doesn’t cut it then off to a specialist. I took your advice and started the allopurinol right away but the doctor still swears that’s a bad idea. I read the link you posted about it being fine to do, but that doesn’t seem to be the popular notion around here. I’m a little discouraged given the amount of pain I’m still in. How much prednisone were you taking? My doc always has me take 30 mg/day for 7 days, then taper. I usually have significant relief (as in I can walk) in about 6 hours. 50mg for 5 days, no taper. It has worked well for me in the past but not this time. My best guess of your prednisone situation is that your gout is now much worse. It’s common in patients who get pain control, but no uric acid control. I took your advice and started the allopurinol right away but the doctor still swears that’s a bad idea. I read the link you posted about it being fine to do, but that doesn’t seem to be the popular notion around here. I’m a little discouraged given the amount of pain I’m still in. I need to re-evaluate my advice, and I apologize for any confusion. I need to make it clear that taking allopurinol early assumes that you are getting correct gout pain control. The logic, and the outcomes of that gout study, is clear. If you are having a gout attack, you should be getting effective gout pain treatment. In that case, starting allopurinol will make no difference to gout pain. However, it will start uric acid control sooner, which is the best thing to do. Unfortunately, if you are not getting proper gout pain control, taking allopurinol just reinforces the idea that it is not good for you. I’m lucky enough to have had my pain control training from nurses in hospital. They know how to stop gouty old men crying out in the night! Seriously, nurses care that their patients experience minimal discomfort. They use their skills to promote combination pain packages that work. Perhaps sitting in your doctor’s waiting room in tears because he wont deal with your pain properly might be an option. I simply cannot understand why, in 2016, doctors get away with such brutal treatment of gout pain. Anyway, I’ll add a warning about ineffective gout pain management to my Allopurinol Quickly article. After a long conversation with the doc, she gave me another run of indomethacin which seems to be working now. I will start the allopurinol once this run is done and now I have colchicine should a flare occur once this has passed. My gout pain is 90% better. My foot still feels like it was wounded, but no pain and the swelling is down considerably. I have an appointment with a rheumatologist, but March 9th was as early as they could see me. Evidently, rheumatology is a good business to be in now. I’m going in for a renal panel and liver function test as soon as this flare is gone and things are back to an even keel. Also, because I was walking awkwardly on my foot, tendinitis cropped up at my Achilles insertion on my heel. Ice and rest are helping that as well but, geez, come on. I’m gonna get this thing by the neck one way or the other. It’s hard to describe to those who don’t know, the impact this has on every aspect of your life. 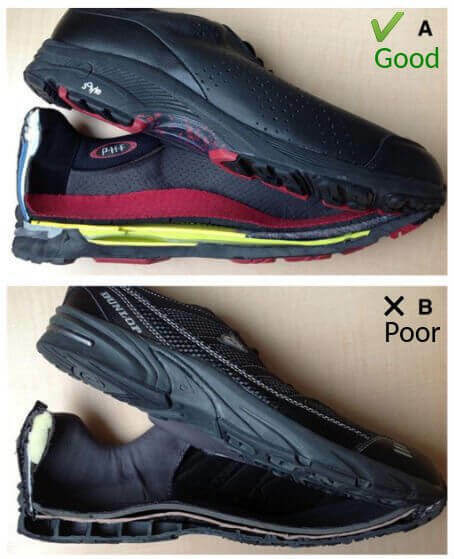 Can better walking shoes avoid problems from limping with gout? First, colchicine can slow your immune system down. That’s an infection risk, so be careful if you are exposed to any viral or bacterial infections. Assuming you are not infected, colchicine is a friend to gout. But, a stern friend. Colchicine will not help immediate pain. It does not reduce inflammation. It just slows it from getting worse. If you are taking it as required, take one colchicine as soon as you notice the slightest twinge of gout. If your twinge does not go in 2 to 4 hours, take a second colchicine. Never more than two per day. If you are taking colchicine as a preventative, take one at bedtime. Next morning, take a second if you need it, as advised by your doctor. Never more than two per day. So, if your immune system hasn’t gone crazy, that should be enough. But if the gouty inflammation party is swelling, it needs a party-pooper. Indomethacin will reduce the inflammation caused by your immune reaction. In doing so, that will reduce most pain. Indomethacin is a great combination with colchicine because it’s fighting inflammation on two fronts. The recommended dose of indomethacin for gout is 50mg three times a day. If it’s been a really heavy party, your immune system hangover might linger. If a good nurse wants you quiet in your hospital bed, she will intersperse each indomethacin dose with a compatible pain-blocker. This all started on 3.13.16 and the only thing that is helping is prednisone. I wake up with ankle pain and by the afternoon my ankles are swollen. I also have what feels like muscular pain in my thighs and it’s very difficult for me to stand up and sit down. Current meds: Metropolol Succinate XL, Fluoxetine, Amlodipine. Was prescribed Wellbutrin XL on 2.8.2016 and took that up until 3.28.2016 when my prescription was discontinued. Close to a month ago (3.13.2016) I woke up with pain and swelling in my ankles as well as pain in the heels of both feet. After two days of the pain worsening I went to the ER (3.15.2016) where, upon a visual inspection, the doctor diagnosed it as cellulitis and prescribed antibiotics. Two days later, the pain persisted so I visited my family doctor where I was prescribed Prednisone and had blood labs performed (3.17.2016). I took the Prednisone that day and by the next morning I could walk again. The pain and swelling had disappeared completely. The Prednisone was a tapered 10-day dosage, and on the day of my last dose (3.26.2016) the pain began to return and was even worse than it was before. On 3.28.2016 I went to the ER and was admitted for testing and observation. For the first 5 days I was out, I was taking 20mgs of Prednisone per day and everything has been fine. The last two days I have been taking 15mgs of Prednisone. The problem is that last night I experienced some minor swelling and this morning there is a little swelling as well some pain. My fear is that once I taper off the Prednisone the whole thing is going to become awful again and I will spend more time in the ER/hospital with no one being able to figure out what is actually wrong with me. What else should I be telling them to test for? What are they missing? Can this really only be gout? The doctors I met with all seemed a bit perplexed by the whole thing so the final diagnosis was not exactly reassuring. Hello, I’m Brazilian and since I was 14 years old (I’m 30) I had 3 episodes of intermittent knee swelling, which lasted 1 year. 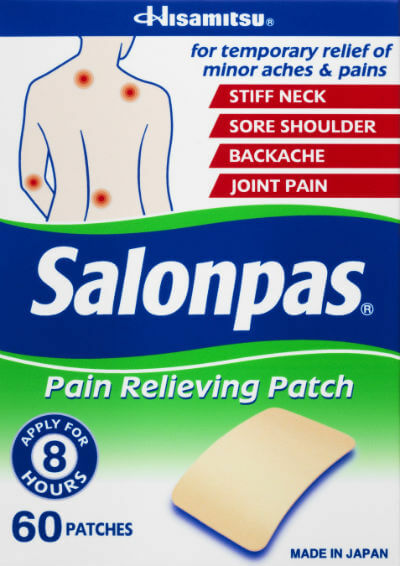 The bumps are painless, most of the time, but I feel pain in some movements. The only thing I feel different is an increase in body temperature while sleeping, before the knee swells. They swell the most at night. They become swollen 3-5 days and after 7-10 days, itch again, non-stop. All the tests gave negative for rheumatological factors, negative reactive protein, this year I did arthroscopy in the 2 knees for the removal of synovial plica, but nonetheless they continue to swell. No doctor knows until today that I have. I already took anti-inflammatory and colchicine for 1 month but did not improve. My blood uric acid always gives 4.3, but I always found my urine cloudy and with the strong odor, so I requested the urine uric acid test and gave very high: 1,200. I’ve already done 3 exams and they always go high. I am healthy and I follow a diet that has low purine. I do physical exercises 6 times a week, but the swelling limits my movements. I began to use colchicine and I will start today with alopurinol 300mg. I wonder if it can be a type of gout, with little pain, be intermittent and only with high urinary uric acid. Carol, I’d love to help you more. But, I just do not have the relevant information. You say: “blood uric acid always gives 4.3” and “urine uric acid test and gave very high: 1,200”. But, you haven’t told me what scale these results are measured in. If I were a gambling man, I bet that your blood uric acid is actually 0.43mmol/L. If that is the case, allopurinol can reduce it to safe levels. But, You should really start with 100mg per day. Then, you can adjust dose to get uric acid to a safe level. But, this is all guesswork without accurate test results. If you have photographs of your test results, that is very useful. 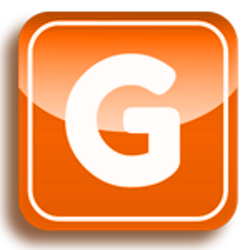 You can send pictures, or other files, via the GoutPal Helpdesk. Just click the orange Gout Help button, then attach files to your message. If you cannot send photographs, please type in the lab report uric acid information carefully. Thank you Carol, for the extra information. I’m still a bit confused about your exact timeline. But, I’m going to assume that your uric acid blood test result is after you started taking allopurinol. That result shows that your uric acid in your blood is safe. But, you will still be at risk of gout flares for a few weeks. That risk will reduce as allopurinol does it’s job. It’s great that allopurinol is working for you. Just be patient. Also, keep getting tested for uric acid at least once a year. As I say, you should recover completely from gout in a few weeks. If you need help with gout pain during this time, please ask. Been having a look through all the old posts and some really useful info on there, thought I’d share my experience and see what you all think. I’m a 34 year old male, not overweight and for the main part eat a healthy balanced diet. If anything I’d maybe say protein intake is higher than it should be, and I like a beer at the weekend. Never drink through the week and I may have 3 or 4 bottles of beer on a Friday & Saturday night, although more if going out. I exercise regularly, gym 3 times a week usually and play golf at the weekend. I played football Saturdays & Sundays from a young age until my mid twenties, and then more recently played 5 a side once a week. Over the last say 5 years I’ve had probably 3 or 4 flare ups in my big toes from what I now perceive to be gout. At the time I had put it down to a sporting injury. The last time I had a flare up around 2 years ago I brought up the possibility of gout with the GP, who wasn’t so sure and referred me to a specialist (unfortunately I can’t remember what the specialist specialised in! ), who took a look at the way I walk and said there was a slight imbalance in my walking pattern which meant I walked on the outside of my feet and that I should buy stiff soled shoes as I probably had a mild form of arthritis. I also went for a blood test but as the GP’s never came back to me with results and the pain had subsided I never thought anymore of it and got on with life. 3 weeks ago I awoke of a Monday morning to a stiff right ankle, I had gone over slightly on it the day before while out walking so put it down to that and thought nothing more of it. The ankle wasn’t painful but was certainly stiff and had restricted movement, this eased during the day and by the end of the day was pretty much fine. I was at the gym that week and didn’t really notice it. This continued throughout that week, walking on a morning to a stiff ankle which gradually eased throughout the day. On the Friday night I was at home watching football (the mighty Leeds) and noticed that my ankle was becoming more stiff and I had started limping more heavily when I was getting up. I had 3 bottles of lager that night (not sure if this made any difference or brought it on). I awoke around 2 am, ankle very swollen, red, hot to touch and very painful. I took some ibuprofen and managed to get back to sleep a few hours later. Over the course of the next 2 days I could hardly walk on it and self diagnosed it as gout. Internet searches brought up lots of home remedies so I was straight on the cherry juice, baking soda and apple cider vinegar. The swelling and restriction of movement in the joint took until around Wednesday to calm down and I was able to get back to work, albeit limping heavily still. Last Sunday I ventured out to do a bit of shopping, and was nearly limp free, the ankle just felt a little stiff, nothing more. That night the pain started again (not as bad as before) and I visited the local drop in centre who, after an xray, diagnosed it as a sprain. Said it would be painful as I’d walked about a bit that day. I decided it wasn’t and went to the GP’s on Monday. He said the symptoms definitely agree with gout, and looking at my records the blood test I did a couple of years prior showed a high UA reading (I need to find out what it was). He gave me Naproxen (I’m taking 500mg twice a day) and advised that most people will keep this on hand, if the have signs of a flare up then start taking straight away and should keep it at bay. If not and I am having regular flare ups then would look to put me on UA reducing meds, but didn’t want to do that straight away as it’s a lifelong thing. I’m now 3 weeks on after the initial ankle pain, it’s still stiff and I’m still limping. The pain/stiffness has certainly moved from one side of my ankle to the other and moved up my foot a bit rather than the ankle joint itself. I haven’t touched a drop of alcohol for those 3 weeks and been trying to follow all the diet advice, as well as continuing with the cherry juice/apple cider vinegar/ baking soda. Wouldn’t be able to say if any of these has had a positive effect. GP advised to wait a few weeks after symptoms clear up and then do another blood test. Also just found out that my Dad showed a high reading (around 8) on a blood test 2 years back, but he doesn’t experience symptoms. Sorry for the essay, just hoping to get some pointers. Thing that I have found strange is that the really painful part only lasted a few hours really, after that it was more stiffness in the joint and now it feels like more of a sprain than anything else. Is this normal? Also do people tend to get the build up a few days before the attack, or does it just come on straight away? I’m going to get my bloods done and see how that turns out. How do people go about seeing a rheumatologist, is it a referral through the GP? Thanks for reading, hoping to get this under control! Dads are good at hiding symptoms. Your current Internet gout treatment combination, as described, is tasty/pointless/dangerous. In the right sidebar of each page here (displays below on mobiles), there’s a section: “STOP GOUT WITH SAFE URIC ACID LEVELS” Below that is a table that describes different possible uric acid ranges. If your result is “Safe”, you probably don’t have gout, and your GP should refer you to a rheumatologist. A) Your life will be shorter. B) Your quality of life will be less. I’ve focused on the important points. If you want me to elaborate, please ask. To give you better advice, I really need your uric acid test result numbers. Thanks for the info Keith. I’ll see if I can get the reading from the GP for the test that was done a while ago, and will also look for some up to date results. Is there a recommended period of time to wait before doing the blood test after an attack? I’ve read that UA levels are lowered in the blood during and immediately after an attack, therefore best to wait a few weeks. Are we saying then that all this apple cider vinegar and baking soda isn’t worth doing? Is the cherry juice worth keeping in? It seems there is some evidence for cherries lowering UA. But we’re probably talking about a whole lot of cherries on a daily basis if you want to get a significant effect out of that… at which point I would be concerned about cost and possibly side-effects. There is apparently also evidence for milk and yoghurt being useful. If you’re not allergic to this stuff or something and don’t overdo it, the worst case scenario as long as you also pursue proper treatment would be that you’ve treated yourself to a placebo. 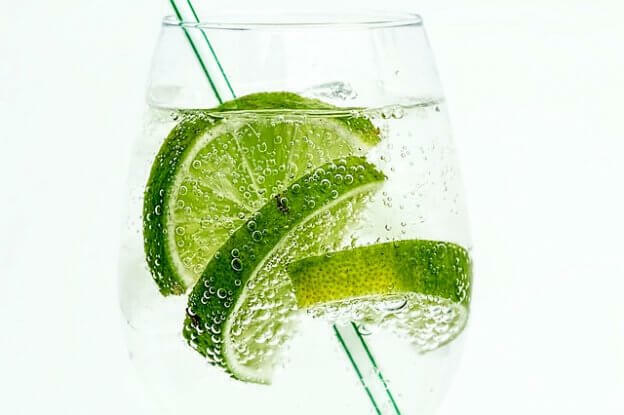 The least harmful thing you can do I think is to make sure you drink a lot of water (within reason) as well as to follow reasonable and generally-accepted dietary recommendations such as favoring a variety of vegetables over hamburgers. I’ve been told that UA can unusually high as well as unusually low during an attack. In any case, there are other confounding factors and some data is better than no data. But I guess waiting before a test would make sense if you can only afford one. And in answer to your earlier questions, slow buildup is possible. In particular, it seems flares can get worse as they move between different parts of the joint (or to the joint proper from a connected part – I’m terrible at anatomy) if you count that as buildup. I found general-purpose anti-inflammatories have a way of dialing the symptoms way down without getting rid of them entierly at which point it becomes easy to have anything misdiagnosed as a routine one-off problem. In any case, I can’t diagnose myself so I wouldn’t even dream about diagnosing you remotely. It would be great if you could get uric acid test result history from your GP. In this day and age, we can expect accurate results to be emailed to us. If you can copy and paste exact results, with dates, that would be best. If you have to rely on the phone, be careful to get exact numbers and dates. Numbers should always have a scale (mg/dL, mmol/L, or μmol/L depending on country). Personally, I would never wait until getting a uric acid blood test. Sometimes they are artificially low during an attack. If that happens, just get another test after 2 weeks. Repeat until you get stable results. That way, you have more information to support a diagnosis. If there is any logic in waiting, I can’t see it. I’d love to see arguments supporting delaying a blood test. Cherry juice is tasty, so I see no reason to avoid it. 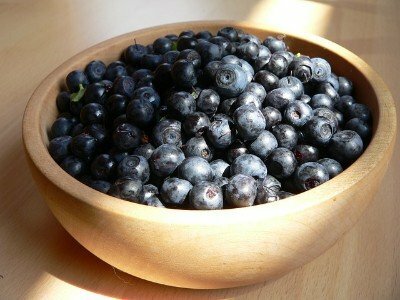 When concentrated, it provides a big hit of anthocyanins (as do other red/blue/purple fruits). These help inflammation for most people. Personally, I prefer gout pain relief at max strength pharmaceutical dose. It’s much cheaper, and much faster. But, every gout sufferer should choose what’s best for them. Lots of people make lots of money out of Apple Cider Vinegar (ACV). There’s nothing wrong with that, unless you’re exploited. Also, the placebo effect is generally measured around 30 to 35%. That is much higher than the number of doctors who understand uric acid. So, again, you pays your money, and makes your choice. Baking soda is dangerous. It might be acceptable under medical supervision. But very much an edge case. As far as I’m aware, all situations that warrant this type of chemical intervention have a safer alternative. The safest form of non-pharmaceutical pain control seems to be distraction. Just write about your gout symptoms here, and you’ll soon feel better! In the meantime, I get results in the old-fashioned mail and type them in back into a computer. Distraction also helps with any annoying side-effects of pharma. Definitely underrated. Your story is probably shared by most of us here. Your lifestyle sounds a lot like mine. Your Gout flares started EXACTLY like mine. I will tell you this…they will get worse until you get your Uric Acid under control. Make an appointment to get your blood drawn immediately. Don’t mess around with a bunch of elixers and “diet fixes” or other internet fodder. The only REAL thing that is going to help you is medication. But before you can be prescribed the medication, you need to find out where your levels are. You will also need a liver and kidney function test. These are standard. By your earlier post, I take it you are in Europe, since you posted your original results in umol/l (in the states its mg/dl). Regardless this is the first step and the most important. My rhuemotologist, for some reason, was hesitent to put me on Allopurinol. I spent a year trying the diet, cherry juice, no meat, no alcohol, no sugar lifestyle. It didn’t work. Gout, for the most part, is inherited. Somewhere in your family tree you were probably predisposed to it. Lucky you. Me too. Combining medication theropy with a healthy lifestyle, exercise, and proper hydration is the key to leading a normal, pain free life. Keep the group posted on your progress. Thanks for the replies guys, quick update – off for a blood test today so will post back results as soon as I have them. I’ve actually paid for a private appointment to have an array of things tested so will be interesting to see results. As soon as that is back will be straight to the GP’s to discuss medication. That’s awesome. It’s the first step towards getting on with your life in a normal fashion. If you are put on medication, be patient. As you probably have read on this site, lowering your Uric Acid is not going to happen overnight. As you stated, you are a young man (at 34) so while you may not have to undo as many years of Uric Acid build up as most of us, you STILL have to undo potential years of Uric Acid build up. It takes time. Do NOT get frustrated by the process. You may still have recurring Gout attacks while starting and continuing the medication treatment. Stay the course. Continue to eat smart and exercise. Throw in some of those other things you talked about like Cherry Juice, milk, yogurt, coffee, and hydration. Remember, you are still a young guy, so the quicker you stop the destruction of joints in your body, the longer you will be able to enjoy them later in life. Thanks for the reply Patrick, much appreciated. Quick update, had my blood test results back today and uric acid is at 478 umol, so around 8mg. The only other thing picked up was low neutrophils (reading was 0.95), looking into this these are a type of white blood cell I believe so would make sense that they are low after an attack? I have actually got another blood test booked in for next week to test it again at the GP’s so will be interesting to see what comes back on that. So the plan will be to go to the doctors and look to be put on medication to reduce uric acid and hopefully get things under control. Quick questions for you guys, I go to Italy in 4 weeks time for a week and there will be a lot of walking involved. Given that the medication may bring attacks on when I start to use it I’m thinking of deferring it until I get back, just wanted your thoughts? My suggestion would be to talk to your Rhuemotologist about it. I’ll tell you what I do…I asked my Rheumotologist for a standing prescription for Methylprednisone (or Z pack). It’s a 6 day dose of antibiotics that aid in reducing pain from an acute Gout attack. Couple that Colchicine and your Allopurinol and you should be OK.
You can also go to the upper right corner and Google custom search for “Gout pain management” and Keith has some info there also I beleive. But that’s how I usually deal with a severe flare up. Don’t defer your medication for another month. With your Uric Acid at 8mgs, you’re already in the “Acute Flare Up” zone. You may trigger an attack tomorrow, who knows? Get started now, and deal with potential attacks later. Thanks for the advice Patrick. I’ve not yet been referred to a Rhuematologist, only seen the GP. I’ve got another appointment booked with the GP so I’ll see what he says. If GP is helpful enough and happy to prescribe the Allopurinol etc is there any need to then see the Rheumatologist also? I don’t think you need a rheumatologist for gout, unless there are treatment complications. The key thing is to make sure you keep returning to your GP for allopurinol dose assessment until your uric acid is safe. Never settle for anything over 300 μmol/L. But, accept that it will take several months to get rid of old uric acid crystals. So, as Patrick advised, you must be prescribed gout pain control. It’s up to you whether that is preventative or as required. You mentioned earlier, you took naproxen. Did that work out OK for you? If GP is helpful enough and happy to prescribe the Allopurinol etc is there any need to then see the Rheumatologist also? If you are happy with your GP then stay with that Doctor. A rheumotologist is a doctor who specializes in Arthritits and joint issues. That’s their specialized field. I went to my particualar Rheumotologist because he came highly recommended by a friend, but as I’ve stated here many times before, even he was reluctant to put me on Allopurinol until I practically begged him to do so. You will find that some doctors, even Rheumotologists, who can be very “behind the times” as it pertains to Gout and Gout treatment. Same for GP’s. Some will fall into the traps of internet myths and old school mentality. Find a doctor who you feel comfortable with, who knows the latest about Gout and Gout treatment, and stick with that person. It’s really that simple. Sounds like gout to me. I have a very similar story to you. I was incorrectly diagnosed similarly to you for 3-4 years before I finally had an acute flare and it was obvious… My Dad has it too. After knowing what I know now, not sure why it wasn’t more obvious to them. As an aside, I am also not sure why they are so stingy with Allopurinol. It is a miracle drug and I, like many, don’t have any side effects. I saw a rheumotologist during my undiagnosed years – it was not a help. She knew less than my general physician and charged up the wazoo for useless X-rays and MRIs. Your mileage may vary of course.. It will be a long road with some setbacks, but if you’re like me, you can get it under control pretty well and also be aware of the symptoms enough to stave off a major attack. Good luck!!! Quick update – another blood test done at the Dr’s yesterday and expecting the results within a couple of days, have an appointment booked for Monday morning to discuss results and treatment. 1.Allopurinol to lower uric acid, will go with the recommended dosage from Dr and review from there. 2. Naproxen to deal with any flare ups, this has been prescribed previously and seems to be pretty effective. 3. Should I also be looking to add colchicine to this as a preventative measure, or is it one or the other with Naproxen and Colchicine? I only like to give advice through my own personal experience, whereas Keith is more of “the guy” when it comes to more knowledgable medication advice. I will tell you what my Rhuemotologist told me. I asked the EXACT same question, because on my medical sheet, I disclosed that I often take Naproxen as a preventative. But I also have a standing prescription for Colchicine (0.6 mg). He asked, “why are you taking both of these medications? Naproxen is like a BB gun, where Colchicine is a Bazooka.” I told him that I only take Colchicine very infrequently. Like when I feel a flare up coming, or if I’ve had “more than moderation” in indulgences. Often, a GP or Rheumotologist will prescribe Colchicine as a preventative in conjunction with Allopurinol when it is first prescribed because of the possibilty of a Gout flare. I alternate taking it for a couple weeks, then go off of it. Is this the right thing to do? I have no idea. But one thing I DO KNOW….even with my great insurance, I have a $50 co-pay for Colchicine. That’s quite a bit of money. So if I can stretch the prescription out, I will. But I would definately recommend taking it in conjunction with your first batch of Allopurinol until you and your doctor know where your levels are. That’s probably a pretty smart thing to do. Once you get your Uric Acid levels more stabilized, then you can decide whether or not you want to continue taking Colchicine. Thanks again for your response. That’s good to know then, I’ll definitely look to add colchicine to the prescription, in the UK it should be just a standard prescription charge so nothing for me to worry about really. In layman’s terms, colchicine to block inflammation. Naproxen to fight any inflammation that gets through (usually, because you took the colchicine too late). Medically (ish), naproxen blocks enzymes. But, colchicine blocks immune cell replication. Entirely different battle scenarios. It reinforces what I learned a long time ago. Never ask a doctor about pain control. Hospital nurses know what works. Got a meeting Monday to discuss treatment going forward so will update once I know the outcome of that. Update on matters, been to the Dr’s this morning and got my prescription for Allopurinol, he’s starting me on 100mg per day and test again after 1 month to see if it needs changing. Despite seeing others are on a lot higher dosage, I’m happy to start at this and adjust if necessary. I asked about Colchicine, his take on it was ‘not to complicate’ things and just stick with Allopurinol and then Naproxen to fight an attack if necessary. Again I think I’m happy with this as would prefer to take less rather than more medication. If I find this isn’t working then I’ll go back and ask for the Colchicine. Finally, against the advice of Keith & others, I’ve decided to delay starting the Allopurinol until late March, after I return from holiday. I’m expecting a week with a lot of walking and don’t want to throw anything into the mix that could add to the possibility of a flare up. I’m thinking that given I’ve had high UA levels now probably for a number of years, a few more weeks hopefully won’t make that much of a difference. Once back from holiday I’ll start the Allopurinol and if it brings on a flare up then no problems as I’ll be at home and happy to deal with it, I don’t want to be stuck on holiday unable to get around! Will report back with progress once I’ve started the Allopurinol. Thanks again for all the support and advice. Ryan, that is all fantastic. I love that you’ve taken control, and doing this on your own terms. 100mg allopurinol is exactly the right way to start. It’s safe. And, if it’s causing problems they will show up on kidney function and liver function tests, when you get your next uric acid test. There’s no downside to this approach. The pain control issue is a situation where there are lots of options. And, if naproxen keeps gout pain bearable for you, that’s the way to go. Maybe I overemphasize combination packages. That’s usually in response to specific complaints that they cannot control their gout pain. Personally, I was always happy with ibuprofen. And, I only tried colchicine when the doctor suggested it. It’s all about being able to take control. So, you are absolutely right to leave colchicine for now and keep an open mind about what might happen later. As for delaying uric acid control, I totally agree with your decision. There’s more to gout recovery than just the meds. You have to feel comfortable with your treatment plan. So yes, a few more weeks won’t make that much of a difference. Don’t forget, you might have a flare on holiday anyway. So, be prepared with your naproxen. Just get back refreshed and ready for your allopurinol treatment. I’m looking forward to your progress reports. Thanks for your supportive words it’s much appreciated. Will check back and update once I get the meds underway and monitor UA levels. This site has been a great help so just wanted to say thanks for your efforts. Thanks for your uric acid number, Ryan. You already have the perfect response from Patrick. I’m posting this to prompt you to read every word of Patrick’s response again. Then, after your appointment, please post your doctor’s response to your need for uric acid control. The sooner you get below 300 μmol/L, the happier your life will be. Naproxen is like a BB gun, where Colchicine is a Bazooka. Not an analogy I’d chose. But, I think there’s a place in the gout pain arsenal for both. Just so I’ve got this straight in my own mind, is it ok to take the Colchicine daily as a preventative measure, and add in Naproxen if a flare up occurs? Can’t seem to find much info if these two can be taken together. And this is the kind of comment that starts my day feeling good. It’s my inspiration to keep improving. Thanks Patrick. Not the actual numbers, because they should be lower. But, we know you are doing something about that, Ryan. The fact that we have a run of results is perfect. Because, it means you have good information to base uric acid lowering treatment on.